BBC Worldwide brings you the opportunity to spend three days and two nights onboard the Alucia, a world-leading oceanic research and exploration vessel used in the filming of Blue Planet II, owned and operated by ocean exploration pioneer OceanX. You will join an active research trip in the the Bahamas where you will make the ship your home and explore the mysteries of the ocean in one of the Alucia’s two submersibles. You don’t have to be an astronaut to discover a new world. The ocean floor is much closer than the moon and almost just as unexplored. The ocean covers over 70% of the earth’s surface, contains 97% of the world’s water, and is home to a wondrous universe of fish, mammals, and sea creatures. This is truly the last frontier on the big blue planet we call home and we are just beginning to discover its depths. As a guest aboard the Alucia, with the OceanX team of incredible scientists, researchers and filmmakers, you will have the chance to explore this world like few others. Your adventure will begin with an introduction from your host, Orla Doherty, a welcome from BBC Worldwide, and a chance to meet the Alucia crew aboard your seaworthy home. Orla has spent over 500 hours at depths up to 1,000 meters working with the Alucia, so she knows a thing or two about the ship, a 56-meter research and exploration vessel. With two submersibles, a helipad, the latest in technical diving, filming and scientific research equipment, as well as shipboard comforts, this is an expedition ship like no other. You will sharing meals with the crew and observing and discussing their work. So come prepared for an active research trip during which you’ll gain in depth knowledge about our ocean, its vital importance to the health of the planet, and the impact that humans are having on its survival. As part of your journey you’ll embark on a voyage that few have had the privilege to undertake. You’ll dive deep beneath the waves aboard one of the two submersibles on the ship, the TRITON 3300/3 or the Deep Rover, crafts well equipped for marine science research, shipwreck reconnaissance, and undersea videography. Highly maneuverable, able to withstand hundreds of pounds of pressure, and with almost 360 degree views, this is light years beyond the average vacation snorkel. You and your submarine pilot will explore the waters off of Cape Eleuthera, one of the most biologically diverse areas of the Atlantic ocean. Along the way you are sure to see a magical menagerie of underwater creatures that make the island waters their home. - No skinny dipping. You never know when the fish might watching. - Avoid watching Jaws or The Abyss before your trip. - No sleepwalking or night swimming. - No selfies with the deep sea creatures. - No fishing--we don’t eat our research subjects. - Leave the high heels and tie pins at home--this is a research vessel, not a cruise ship. - The Alucia is manned by an English-speaking crew, and all safety briefings will be in English, so all entrants to this competition must be fluent in English. Please submit answers to the competition question in English only. When you submit a submission for this Contest, you agree with the official rules below (“Official Rules”). “the Alucia” means the owners of the Alucia Boat (defined below) being Woods Hole Oceanographic Institution of 266 Woods Hole Road, MA 02543, USA and affiliated entities including Alucia Productions LLC and Dalio Foundation, Inc.
“Alucia Boat” means the research boat which was used in the Blue Planet II series and which is the vessel for the purposes of the Prize. How to Enter. Entrants into the Contest (“Participants”/”you”) who have reached the age of 18 at the time of participation, may enter the Contest from January 27th, 2018 at 12pm Greenwich Mean Time until February 10th, 2018 at 12pm Greenwich Mean Time (all dates and times in the Official Rules are based on Greenwich Mean Time) by following the process below. Submissions must be received through the below process by the close of the Contest to be eligible. Participants who are 18 or over but still under the age of majority in their jurisdiction of residents must have the permission of their parent/legal guardian, and their agreement to these Official Rules to participate. 4. In the form provided write an artistic and creative story of no fewer than 50 characters but no more than 550 – in English – that answers the following question: “You don’t need to be an astronaut to discover a new world. Our oceans are teeming with bizarre species and dramatic, alien-like landscapes. Tell us about your ideal deep sea adventure--what do you dream of exploring beneath the waves?” (the “Submission”). The Submission must be sent from the Participant’s Airbnb account to be verified and reviewed. Submissions will ONLY be accepted in English. To participate in the Prize, you must speak English due to health and safety requirements, and so Submissions in any language other than English will be rejected. Each Participant can only participate once and you represent that you are at least 18 years old at the time you enter. Released Parties (defined below) are not responsible for computer or network problems, problems with servers, problems with email accounts or the failure to receive any Submission for any reasons whatsoever or for any other errors of any kind, whether mechanical, technical, network, printing, typographical, human or otherwise relating to or in connection with the Contest, including, without limitation, errors or problems which may occur in connection with the administration of the Contest, the processing or judging of entries, the announcement of the prizes or in any Contest-related materials. By entering the Contest, participants agree, on their own behalf, and if applicable on behalf of any guest that as a winner they are permitted to share the Prize with (who may in any event be required to confirm in writing), that they may be contacted by Airbnb in relation to the Contest and agree to take part in any publicity that occurs as a result of winning the Contest and grant the Sponsors and the Alucia and their group companies and agents the right to use their personal data including without limitation their names and/or images and/or towns/countries of residence, and consent to being filmed and photographed with such material potentially being used worldwide in all media in perpetuity at the discretion of Sponsors and the Alucia (including without limitation statements about the Contest, Prize, the Alucia Boat and Sponsors and the winners and guests’ thoughts, activities, experiences and opinions) – participants may be required to execute a separate document to confirm their acceptance of this provision and to indemnify Sponsors and the Alucia in relation to such provision. The Contest is open to residents, aged 18 or over, of the following regions only: United States, Canada (excluding Quebec), China, Singapore, Philippines, Taiwan, Hong Kong, Indonesia, Malaysia, Germany, Portugal, Spain, United Kingdom. If you are not resident in one of the listed countries, you are not eligible to enter or participate in the Contest. By entering, eligible Participants agree that the individual winner(s) will be selected from all Submissions received from these countries.  Directors, officers, employees, independent contractors and agents of Airbnb, the Partner, the Alucia or their subsidiaries or affiliates (collectively, “Released Parties”), and the members of their immediate families or households (including without limitation spouse, partner, housemates, children, parents, siblings, grandparents, and grandchildren), and Blue Planet II crew or Airbnb venues for overnight stays relating to the Prize, are not eligible. - 33.333% Creativity: How creative is the answer and how much does it delight us? - 33.333% Originality: How does it surprise us? Is it a unique perspective? - 33.333% Responsive: How well does it respond to question? The panel of judges will be comprised of one representative of each of the marketing teams of Airbnb, Partner, Blue Planet II production team together with one independent judge. The judges’ decisions are final and binding. If substantially similar Submissions are submitted by different entrants, judges will select only the best version of that idea, as determined by the judges in their sole discretion. If in the opinion of the judges no suitable Submissions are received, or no winner can be contacted or responds as set out in these Official Rules, then the Sponsors may cancel, extend or repeat the Contest at their sole discretion. In the event of a tie, such tied Submissions will be judged by a tie-breaking judge using the criteria set forth above to determine the winner(s). Judging scores will not be revealed. The chances/odds of winning will depend on the number and caliber of eligible entries. Submissions must be the original work of the participants and not have been previously published, or entered in any other competition, and must not violate the rights of any other party, including but not limited to intellectual property rights or rights of privacy, publicity or other moral rights. Submissions must NOT contain: (a) content that endorses/promotes illegal or harmful activity; (b) violent, profane, vulgar, obscene, defamatory or otherwise objectionable material; (c) adult material; or (d) defamatory content. The Sponsors reserve the right to disqualify any participant who violates these prohibitions or any other provision of these Official Rules, or that the Sponsors or the Partner deem inappropriate for any reason, in their sole discretion. By submitting a Submission, participants grant each of the Sponsors and the Alucia a perpetual (or for the term of the protection granted by the relevant intellectual property rights), worldwide, irrevocable, royalty-free license to transform, edit, modify, reproduce, distribute, transmit, publish, communicate to the public, broadcast, perform, display, or otherwise use the Submission, in whole or in part, with or without modifications, in any form or medium (including but not limited to: internet, any printed medium distributed via press, billposting, point of sale advertising, flyers, leaflets…), whether now existing or later developed, for entertainment, promotional and/or advertising purposes and/or any other purpose. To the greatest extent permitted by law, participants agree in favour of Sponsors and the Alucia to waive and not to assert or invoke any so-called moral rights in relation to their Submission (including without limitation the right to be identified as the creator of the work and the right to object to derogatory treatment of the work). For the avoidance of doubt, the license referred to in this paragraph is a fully paid-up license. By entering, you guarantee that your Submission is original as referred to above, and that you have all necessary rights to provide the Submission and to grant to Sponsors and the Alucia as applicable the rights set out in these Official Rules, as well as the consent of any person identified, depicted or referred to in the Submission. You will indemnify and hold Airbnb, the Partner and the Alucia harmless for any breach of these provisions. Only the winners will receive the prize according to the next paragraph. Each winner will receive, in recognition of their personal writing talent and as full and comprehensive consideration for the License described above, the following trip (the “Prize”) for each winner and one guest over 18 years of age. - Economy class return travel to Nassau, the Bahamas from the winner’s home country. - All transportation between the airport in Nassau and Cape Eleuthera. - All on the ground lodging in an Airbnb listing (selected by Airbnb at Airbnb’s discretion) for one night on 4 April 2018 and one night on 7 April 2018, and meal expenses throughout the winner’s and guest’s stay in the listing(s). - Two night Alucia Boat excursion including staying overnight on the Alucia Boat on 5 April 2018 and 6 April 2018, all meals and a submersible dive (subject to the Prize Conditions and Suitability Requirements detailed below). Participants represent that they are available to travel to the Bahamas to be there on 4th April 2018 to 8th April 2018. Participants must have a valid passport (which will be valid for at least 6 months after the date of the Prize) to travel to the Bahamas during the period of the trip to redeem the Prize. Winners and their guests must travel together on the same itinerary. All travel arrangements will be made by Sponsors’ agent on airline(s) of Sponsors’ choice. The total value of the Prize is approximately EUR 4,000 (or the equivalent in local currency). No difference between the approximate and actual prize value will be provided. The Sponsors may require a written confirmation or proof of eligibility, including without limitation proof of a valid passport, the place of residence and age of the winners and guests they are permitted to share the Prize with before awarding the Prize (for example a passport or driver’s licence, accompanied by an English translation if requested). No substitution or transfer of the Prize is permitted. The Prize may not be redeemed for cash. If due to circumstances beyond the Sponsors’ control (which for the avoidance of doubt shall not include non-compliance by any winner or guest with the Prize Conditions and Suitability Requirements), the Sponsors are unable to provide the stated Prize, the Sponsors reserve the right to award, as substitute, a prize of equal or higher value. In accepting the Prize, the winners and their guests recognise that there are limited medical capabilities on the Alucia Boat and that in the event that they are injured or ill, there will be a delay until medical assistance arrives and/or they may be moved to a proper medical facility which may be at a great distance from the Alucia Boat. There will be no trained doctor and/or nurse on board the Alucia Boat (or equivalent). The winners and guests recognise that participating in the Prize involves certain dangers including without limitation equipment failure, limited medical assistance, adverse sea and weather conditions. Sea conditions, marine vessels, and submarines can be dangerous and are inherently dangerous. Further, participation in the Prize on board the Alucia Boat could result in unforeseen injuries, severe injuries, and even death. The winners and guests specifically assume all such risks. The winners and their guests are solely responsible for directly notifying the Alucia of any dietary requirements and food allergies (which must be declared at least 14 days prior to the commencement of the Prize). The winners and their guests are responsible for arranging their own visas and vaccinations and should check advice for foreign travel, including in relation to Zika virus, to the Bahamas from each winner’s home country. All elements of the Prize and participation in each such element of the Prize are subject to the weather permitting and to the Alucia’s approval (all to be determined at the Alucia’s sole discretion) and are therefore not guaranteed. In the event that an element of the Prize does not go ahead, this element of the Prize will be forfeited without replacement and Sponsors will have no further obligation to winners. In the event of any damage to the Alucia Boat or its equipment as a result of a winner’s or guest’s action or inaction, winner shall be solely responsible for such costs associated with restoring and/fixing the Alucia Boat and/or its equipment. The Sponsors and the Alucia accept no responsibility for winner’s or winner’s guest’s property which remains winner’s and guest’s sole responsibility at all times and is taken at their own risk. Their General Liability remains unaffected (see below). Winners and guests are not permitted to film while on board the Alucia Boat. Save as may be required by any applicable mandatory laws, the Prize will be as referred to in these Official Rules and is provided as-is with no express or implied warranty or guarantee. This Contest is subject to applicable local laws and regulations, including but not limited to tax laws. The winner is solely responsible for any taxes applicable to or resulting from the award of the Prize, and the Sponsors will have no obligation for any taxes that may be payable. The Sponsors may require the winners and, where applicable, the winners’ guests, (and the winner and the winner’s guest’s parent/legal guardian if either winner or winner’s guest are under the age of majority in your jurisdiction of residence), to sign and return an affidavit of eligibility, further liability releases, publicity releases and or other documentation permitting the Sponsors and the Alucia to use the winners’ names and images in promotional materials where permitted by law and subject to applicable rules. Winners and their guests may be filmed, photographed and otherwise recorded (including their voice, image, likeness, performances, etc) while on the Alucia Boat and Sponsors and the Alucia may use such materials for any and all promotional and other purposes in any and all media worldwide in perpetuity – winners and guests will have no rights over such materials. Refusal or inability to sign and return such forms within 72 hours of receipt may result in disqualification and awarding of the Prize to an alternate winner. The winners and guests represent they will behave as good citizens during their stay in the Bahamas and on the Alucia Boat and that they will cooperate with any security personnel or Alucia Boat crew that will be present for the duration of their stay. Winners and guests agree they will not by any act or omission do anything, which might bring the Sponsors or the Alucia into disrepute. Entry and participation in the Contest and/or Prize is at each winner’s and each accompanying guest’s own risk, and health and safety is the winner and each guest’s own responsibility. The ability to take up the Prize requires physical activity to be undertaken. To be eligible for the Prize, each winner and accompanying guest must: (i) meet the Suitability Requirements below (ii) be in good health and (iii) have no underlying medical condition that could adversely affect taking up the Prize nor shall each winner or guest be taking medication that could adversely affect their participation in any element of the Prize. a) You and your guest’s level of English must be of a standard to understand and comply with all instructions given. In the event that you are contacted as a potential winner of the Contest, an intermediate English language test may be administered to you and / or your guest. If you do not pass you will forfeit the prize (without compensation). b) You and your guest must have valid passports, visas, permits and documentation to travel to the Bahamas during the period of the trip to redeem the Prize, otherwise you will forfeit the prize (without compensation). c) You and your guest must be able to recognize and respond to visual and audio signals for safety drills and for emergencies. No guide dogs or pets are permitted on the Alucia Boat. You and your guest must have reasonable hearing & sight (essential in an emergency or any evacuation instructions). d) You and your guest must have the physical ability to climb stairs and ladders in potentially challenging sea conditions. No wheelchair access is available on-board the Alucia Boat. e) You and your guest must have the physical ability to climb into and climb out of a small hatch in the bottom or top of a submersible unassisted, using your own arms to support your weight. The hatch sizes in the submersibles are 18.5 inches/46.99cm and 20 inches/50.8cm in diameter. The maximum weight estimate for an individual restricting the ability to get into and out of a submersible is 280/127kg pounds. f) You and your guest must be physically fit with no health conditions requiring immediate access to medical care. The Alucia Boat has minimal medical facilities and may administer basic first aid in the event of an emergency only. There are no guarantees for care at sea. Anyone who suffers from significant motion sickness or claustrophobia is unsuitable. Any ongoing medications required must be brought and administered by you and your guest (as appropriate). g) You and your guest must be able and willing to follow directions provided by submersible pilots and crew members. h) If you and your guest wish to participate in submersible vehicle operations, assuming all other items detailed in these Suitability Requirements are complied with, you may still only participate in submersible vehicle operations after approval, at the complete discretion of 1) the Ship’s Master, 2) the Sub Team Leader and 3) the Submersible Pilot-In-Command. i) You and your guest must consult with your own trusted medical provider or providers to determine your eligibility and suitability to go to sea, and to be isolated from medical attention and each provide written evidence (in English) of your eligibility and suitability, in the form of a valid doctor’s certificate, to Airbnb no later than 30 days prior to commencement of the Prize. In order to take up the Prize, the doctor’s certificates which you and your guest provide to Airbnb must confirm that you: (1) are in good health; (2) have no underlying medical condition(s) that could adversely affect you taking up the Prize; and (3) are not taking medication or undergoing treatment that could adversely affect participation in the Prize. j) You and your guest must provide, in addition, a self-completed general health assessment form, as well as completed waivers and appearance release forms directly to the Alucia. If deemed necessary by the Alucia, you may be required to provide further information and/or arrange for a further medical assessment by a reputable medical professional at your own cost and provide written evidence of such in English. These documents will be distributed to you by Airbnb or its agent and you will be required to return them, completed, within 72 hours. The Sponsors reserve the right to cancel / forfeit the Prize if any winners or guests do not pass any medical suitability requirements. k) You and your guest must comply with all rules and regulations notified to you by Sponsors or the Alucia including without limitation in relation to health and safety at all times. l) You represent and warrant that neither you nor your guest have any criminal convictions or criminal record and have not undertaken any past act or conduct which could adversely affect the reputation of the Sponsors, the Alucia or the Prize venues. m) You and your guest (and you and your guests’ parent/legal guardian if either you or your guests are under the age of majority in your jurisdiction of residence) will be required to sign liability and other legally binding waivers, releases and related documents before boarding the Alucia Boat. These documents will be distributed to you by Airbnb or their agents and you will be required to return them, completed, within 72 hours. i - No facilitation by either Partner or acceptance by Partners or the Alucia of such insurances constitutes any assessment or advice from any of the aforementioned as to the adequacy of your insurances obtained or that it meets your own insurance needs in respect of the prize and its activities or in any way releases you from your sole responsibility to ensure that you have appropriate insurances in place to cover the activities involved in the prize and your own personal needs. ii - Any risks or health conditions not covered by your personal insurance are voluntarily assumed as uninsured risks by you. iii - You should seek independent legal advice as desired and you acknowledge that by taking part in the prize you have had the opportunity to seek appropriate independent professional advice in respect of your own personal insurance needs and confirm you have the appropriate insurances in place. You have made certain representations and warranties to the Sponsors and the Alucia in entering the Contest and/or applying for a place on the Contest. The parties have relied on the accuracy and truth of such representations and warranties in granting a place to you. Should the Sponsors or its agents become aware of any fraud, deceit or similar action undertaken in connection with the Contest or otherwise, or any act or omission which might (in either the Sponsors or the Alucia’s opinion, which shall be final) have an adverse effect on the Contest, the Sponsors reserve the right in their absolute discretion (without notice to you and/or without giving reasons) to (i) forfeit your place on the Contest; or (ii) withdraw the Prize(s). By entering this Contest, Participants release the Released Parties from any liability whatsoever, on any theory, and waive all claims and causes of action arising from or related to this Contest and/or fulfillment and/or use/misuse of the Prize (including any travel or activity related thereto), to the extent permitted by applicable law. However, nothing in these Official Rules limits or excludes any person’s or entity’s liability for death or personal injury caused by their negligence, or fraud, or any other liability which may not as a matter of law be limited. Interpretation and Disputes. Participants agree: (a) to be bound by these Official Rules and all decisions of the judges, which are final and binding; (b) that any disputes shall be governed by the laws of Ireland (or by mandatory local laws, if applicable), and shall be resolved only in the courts in Ireland (or in mandatory local jurisdiction, if applicable), without resort to any form of class action or other form of collective action, to the extent permitted by applicable law; and (c) that they consent and waive any objection to the jurisdiction of said courts for any such disputes. The Contest is void where prohibited. If any provision or part-provision of these Official Rules is held by a court of competent jurisdiction to be invalid, illegal or unenforceable, it shall be deemed modified to the minimum extent necessary to make it valid, legal and enforceable. If such modification is not possible, the relevant provision or part-provision shall be deemed deleted. Any modification to or deletion of a provision or part-provision under this clause shall not affect the validity and enforceability of the rest of these Official Rules. To the extent permitted by applicable law, the Sponsors may suspend, modify or terminate the Contest if they believe, in their sole discretion, that malfunction, error, disruption or damage is impairing or will impair the administration, security, fairness, integrity or proper conduct of the Contest, in which case the prizes will be awarded among the eligible Submissions received that were unaffected by the problem, if possible. Hi, I’m Orla Doherty, a BBC producer on episode two of Blue Planet ll (The Deep). I love the oceans and am so fortunate to have filmed in numerous and varied locations for Blue Planet II, including the Galapagos, the Pacific and Atlantic oceans, the Azores and the Antarctic Peninsula. Hallo, ich bin Orla Doherty, BBC-Produzentin der zweiten Folge von „Unser blauer Planet“. Ich habe insgesamt 500 Stunden in Tiefen von 1.000 Metern in drei Ozeanen verbracht, um gemeinsam mit den Wissenschaftlern der Alucia dieses gigantische unerforschte Reich unseres Planeten zu erkunden. ¡Hola! Me llamo Orla Doherty, soy productora del segundo episodio de Blue Planet II, de la BBC, llamado The Deep. He pasado 500 horas a 1000 metros de profundidad en tres océanos distintos para descubrir el increíble reino marino con el equipo de científicos del Alucia. Olá, sou a Orla Doherty, uma produtora da BBC do segundo episódio de Blue Planet ll (The Deep). Já passei 500 horas a profundidades de 1.000 metros em três oceanos diferentes para descobrir o reino épico desconhecido com a equipa científica do Alucia. Halo, saya Orla Doherty, produser program BBC Blue Planet II (The Deep) episode dua. Saya sudah menghabiskan 500 jam di kedalaman 1.000 meter di tiga lautan untuk menyelami dunia tak dikenal bersama tim peneliti Alucia.